Single tear. December can’t come soon enough. It may be the six minute run time, but I don’t know if I’ve ever seen so much jammed into a single trailer before as I have with the upcoming film adaption of David Mitchell’s novel Cloud Atlas. There’s so much going on in this preview that the consensus thoughts on the trailer seem to be that this will either be some sort of sprawling masterpiece or great big disaster. Admittedly, my first impression is that it sort of looks like a fever dream of Terry Gilliam fusing elements of Aronofsky’s The Fountain and Speilberg’s A.I. None of those parties are involved with the film though as this is actually the brainchild of the Wachowskis (The Matrix triolgy) and Tom Tykwer (Run Lola Run). Be sure to check out some stills of the film at comingsoon and the extended HD trailer at the apple site. This week’s links feature an article on bedside book stacks, advice on how writing for yourself can help produce your best writing, a review of Stephen Baxter and Terry Pratchet’s The Long Earth and a list compiling the greatest YA series of all time. I also want to quickly mention that this past weekend was marked by great tragedy and I don’t want to trivialize those events in any way, so this post is going to be rather brief. I borrowed a page from flavorwire’s profile on bedside reading stacks and used a picture of my own bedside stack for this post. I have to admit, my stack is a bit all over the place, but truthfully, I wouldn’t have it any other way. In fact, if things were vanilla or uniformly confronting a single subject/genre, I would be rather disappointed. The sad part is that this is just my ‘currently reading’ stack and there are several other stacks from a ‘to read’ stack all the way down to a ‘someday when I’m a more focused individual I will finish you, I promise neglected third chapter dogeared paperback’ stack. Although it shows up in my bedside book stack, I just finished Shadow Show, the Ray Bradbury tribute collection. To pay all the contributing authors a broad compliment, I would say that Bradbury’s stories always had a way of sticking in my mind long after I’d read them, usually extending from a very specific image being branded into my mind, and many of Shadow Show’s tales accomplished a similar feat. I enjoyed the stories thoroughly and would call the collection a fine tribute for the late great Bradbury. 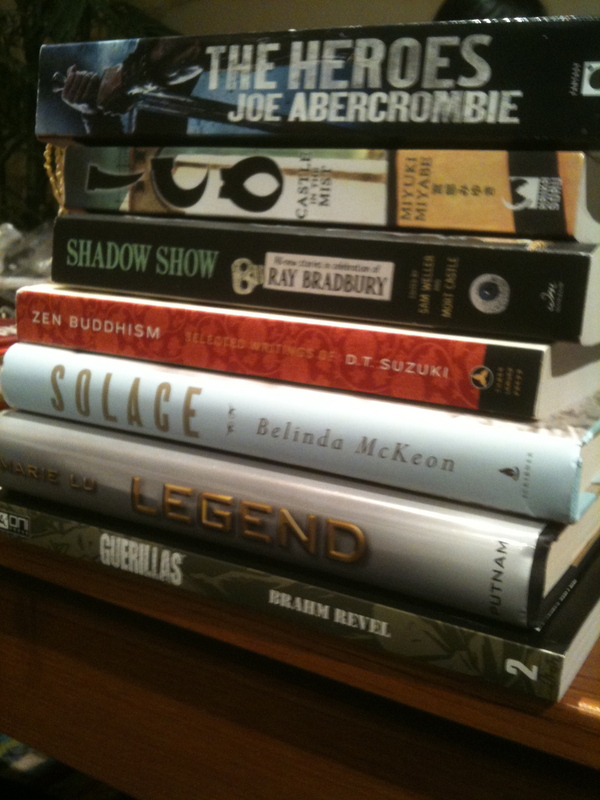 1 Comment Posted in Monday's Writing Links Tagged Brahm Revel's Guerillas, Christopher Farnsworth Spotlight, Colette Martin, Miyaki's New Film On Zero Fighters, Robocalypse casting rumors, Shadow Show Review, Terry Pratchet's The Long Earth, What's in your book stack? 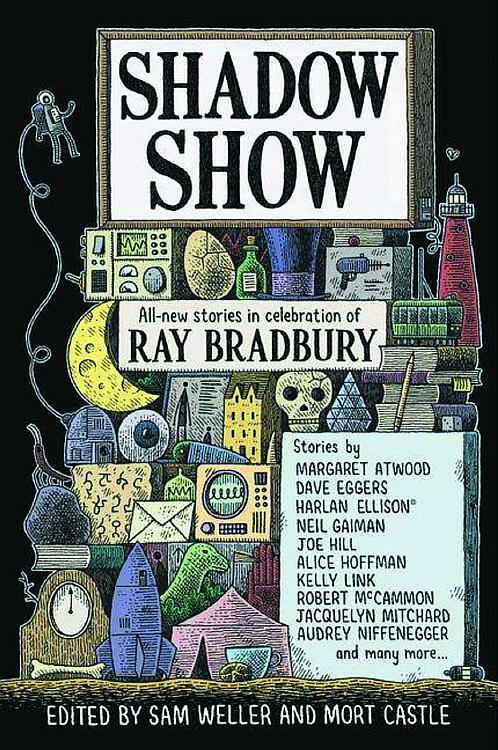 In celebration of Ray Bradbury’s life, I would urge everyone to check out the recently released Shadow Show: All-new Stories In Celebration Of Ray Bradbury. It is a collection of short stories inspired by the late great sci-fi pioneer, along with some words about what he meant to each author contributing to the anthology. I have already checked out the story by Neil Gaiman and enjoyed it thoroughly. 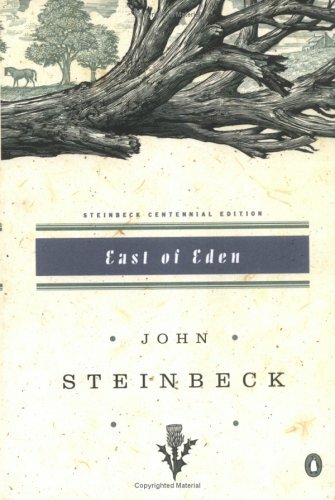 I can’t wait to make my way through the entire collection and hear about how Bradbury influenced great authors like Margaret Atwood, Dave Eggers, Harlan Ellison, Joe Hill and many others. So, be sure to pick up a copy if you are a Bradbury fan or like generally awesome stuff. Also, in unrelated news, shark attacks are up this year and I’m officially never going in the water again. My irrational fears are becoming less irrational (still pretty irrational though since I don’t live near the ocean). This week’s writing links feature an especially patriotic 10 Quintessentially American Novels list to celebrate the 4th, the late J.R.R. 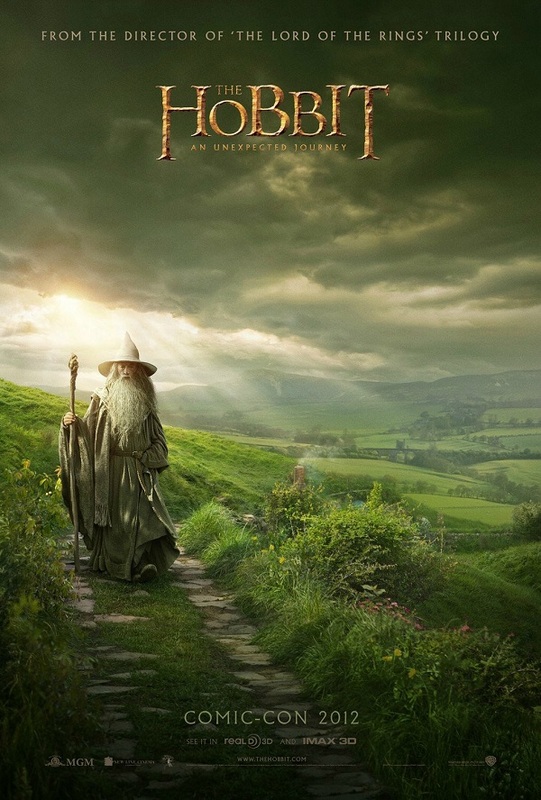 Tolkien’s Tips For Writers, SF Signal’s Andrew Liptak Discussing Jules Verne’s books about the moon, io9’s list of Upcoming Science Fiction and Fantasy Movies and EW’s 50 Best Movies That You’ve Never Seen compilation (which I mostly included because they put Memories of Murder on there). In all of the previous month’s madness, I forgot to give a quick update on the Chicago’s Printers Row Lit Festival which has already come and gone. I did get a chance to attend the opening evening dinner before unforeseen circumstances curbed my attendance at the later events and it was a really nice time. The event honored Chicago author Sara Paretsky for her contributions to the city through her fiction and former mayor Richard M. Daley for his dedication to the Public Library system during his run in office. I hope if you were in the city for the Printers Row Festival, you got a chance to attend some of the events, because my limited exposure was definitely a lot of fun.